As the world turns increasingly to a reliance on the automation of repetitive and/or complicated tasks, the role of business managers changes. Rote execution of mundane actions are better served by software. This is well-known and “IT”, as it’s incorrectly referred to by the C-suite, has already permeated most management discussions. Understood or not. At the root of the new automation revolution lies two factors: Connectedness and data. I’m a big fan of Netflix. This learning organisation may not be the best place to work, depending on who you ask, but as a business it’s a truly remarkable enterprise. Out of necessity it had to embrace the transition from physicality (mailing DVDs to customers to watch movies at home), to virtually inventing digital home streaming, disrupting the entire traditional television model in the process. Lately Netflix has also been disrupting the well-established Hollywood studio system of producing and marketing movies. Back in the day when the main distribution channel was theatre releases, the studios would invite critics to watch and review the (hopefully) next blockbuster. But what Netflix has learnt is that its customers do not care that much for the opinion of critics. The hifalutin arty-farty attitude of many critics in reality might have little bearing on a movie’s true commercial success. This holds even more true in a home setting, when many people are simply looking for a quick entertainment escape. So whether a movie is “good” or “bad” increasingly has less to do with what critics think and more to do with how consumers immediately react to the entertainment straight from their living rooms. Thus the streaming service not only dropped a brand new movie to the surprise of all and sundry, it also eschewed a traditional marketing channel at the same time. “Why should we be beholden to critics when we know more about our customers than anyone else?”, they might have pondered. The crux is that Netflix understands the behaviour of its customers much better than a traditional broadcaster ever will. A significant portion of the company’s technology investment goes into automatic customisation for individual tastes much beyond only “people who watched this also liked that” recommendations. When you’re logged in to Netflix, what you see as options are customised directly for your own preferences on the fly; apart from the service pushing their new products too. All of these processes happen automatically. The associated management tasks therefore have little to do with actually recommending ideal entertainment (like what your old school friendly video shop expert might have done), but has everything to do with how to get the most out of automation for superiour customer satisfaction. Another example of Netflixification is automated investment advice. It’s increasingly incumbent upon financial service providers to always recommend along the same lines for the same set of circumstances. This is impossible to do in distributed locations without automation. Inherently automation is rules-based, so the same two sets of inputs will always provide the same outputs. Instead of movie recommendations, therefore, an automated single goal investment advice system will recommend the ideal investment fund for your savings. Every time. Expert human opinion is obviously still required for complex financial advice, but simple “which fund is best for me right now to help me save for my child’s education?”-type questions are already better and quicker answered by automated investment advices services than by, for instance, an investment advisor in a bank branch. 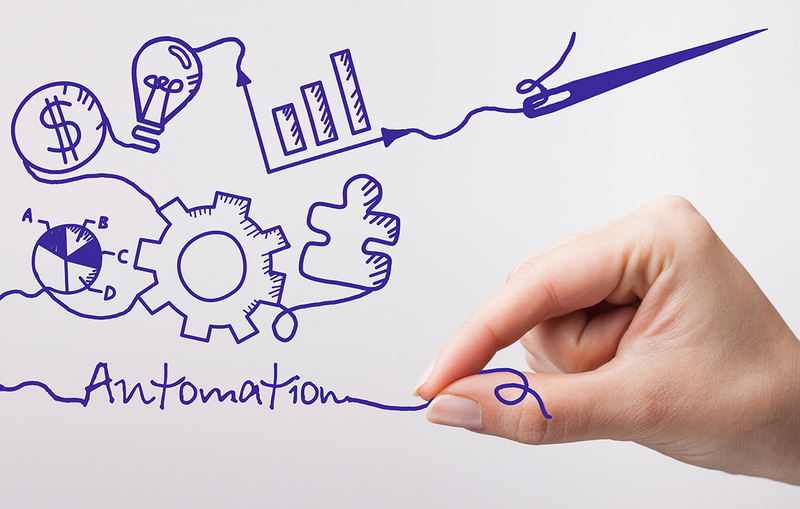 Automation strategy is becoming crucial for most businesses. Even though self-driving vehicles and digital assistants such as Amazon’s amazing Alexa are still in their infancy, there is no doubt this kind of automation thinking should form a fundamental part of every management and business model. If you’re not able to automate anything, something else might already be critically wrong with your business in the first place. How do we gather data for automation? Why are we doing tasks manually? What do we need to know to automate? When can customisation be automated?